Sephora is a one-stop beauty destination with unparalleled assortments of prestige products, in addition to Sephora’s own private label, top notch Beauty Advisors and an interactive, easy-to-wander shopping environment. With the arrival of Sephora on Singapore's shores, beauty junkies now have instant access to many beauty brands previously not available in Singapore such as Urban Decay, Too Faced, Tarte, Eyeko and more. It's beauty heaven! 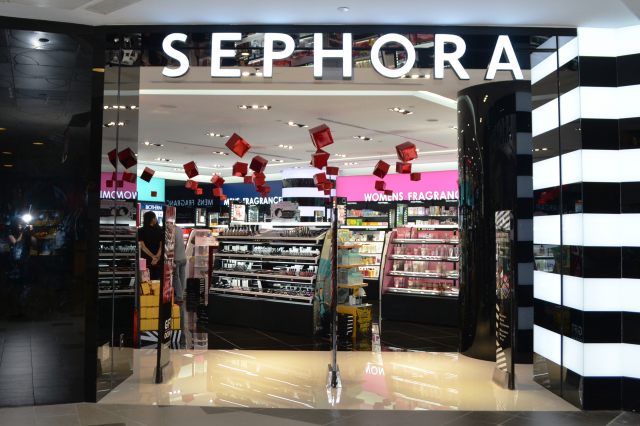 Sephora has expanded rapidly to 11 stores, so you can shop for the latest beauty products at a place near you. With the Sephora Card Program, your beauty purchases add up to points that entitle you for a 10% discount. For every 250 points accumulated enjoy a 10% discount on your next visit. For the basic Sephora White card, membership is FREE with any purchase and you will get exclusive news and special offers throughout the year. You can also get 2x Bonus Points on your birthday. You will be be upgraded to Sephora Black Card status when you reach 250 points where you will get personalised beauty offers and trend reports. Most importantly, you will get exclusive invites to events and VIP access to their private sales which can be an additional 20% off! Check out the last one here. Stay updated on their sales and latest product launches with us at BQ.sg here! With a store in almost all major shopping centres, Sa Sa is a beauty and skincare store you can't miss! It carries brands mostly from Asia Pacific including Cyber Colours and many Korean brands. They have weekly promotions so that you will be tempted every time you step into the stores! The types of face masks they have are so mind-boggling that you don't know which one to choose. Their beauty advisors are quite helpful so just approach them for help. Stay updated on their weekly promotions here! You can join their pink rewards lifetime membership at $5 and start accumulating points to redeem against the next purchase. Every S$5 spent accumulates 1 bonus point. Earning and using of bonus points is only valid in Singapore Sa Sa stores only. 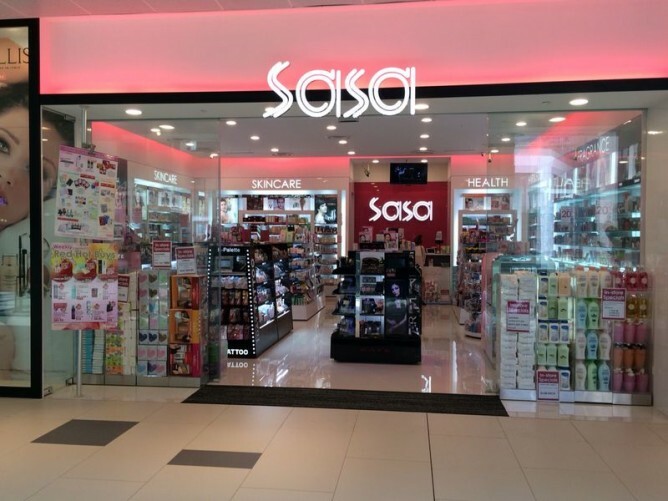 Upgrade to the VIP membership (valid for 1 year) which entitles you to additional 5% VIP purchase discount on top of prevailing promotions at any SaSa stores in Hong Kong, Macau, Shanghai, Beijing, Taipei, Kuala Lumpur & Singapore by: 1. Accumulating $300 nett purchase in 3 consecutive months or 2. Spend $200 in a single receipt. Terms and conditions apply. For more info, click here. Watsons carries affordable beauty brands like SilkyGirl, Za, Revlon, Majolica Majorca, KATE, Clio and more. With regular sales from up to 30% off and stores at every other corner, you can shop for these drugstore beauty brands with good quality products. For example, Za Brow Pencil is very popular and easy to use at its low price, Majolica Majorca's mascaras are super waterproof and cult beauty favourites, SilkyGirl makes cosmetics very affordable for students by offering a good range of blushers, lip products and face powders. Sign up to be a Watsons member ($5 for lifetime) to accumulate points for your purchases and get exclusive promotions. 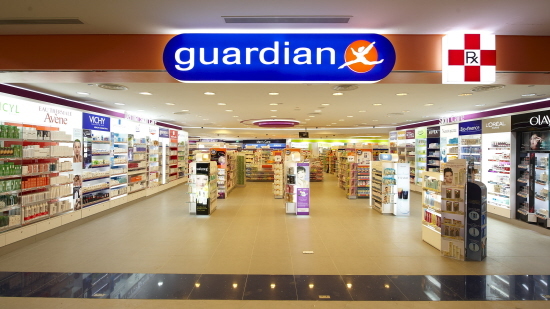 Guardian stocks the usual brands like Revlon and Maybelline, and also other beauty brands like L.A Girl, Catrice and Model's Own. Guardian has frequent sales and also promotions for Passion Card and UOB delight cardmembers. Stay updated to their promotions here! 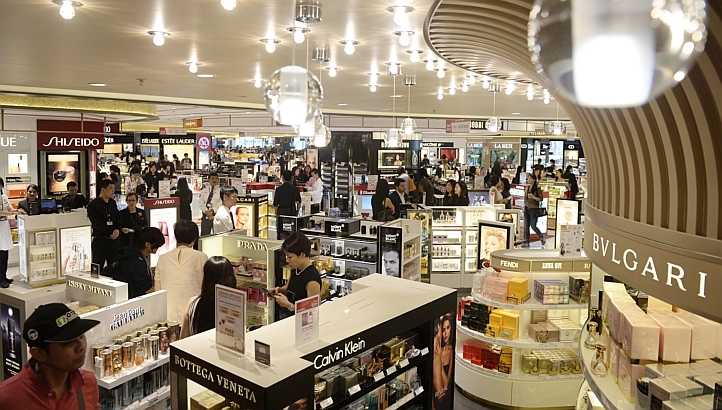 Department stores like Robinsons, Tangs, Takashimaya, Isetan and Metro carry an extensive range of luxury beauty brands such as Clarins, Chanel, Dior, Bobbi Brown and more. They have also brought in many previously not available brands such as Nars, illamasqua, Benefit and Tom Ford Beauty. John Little's Stardust store and BHG's ALT concept stores carry more unique Japanese and Korean brands. You can read our guide to Top Department Stores in Singapore here and stay updated with their regular promotions. 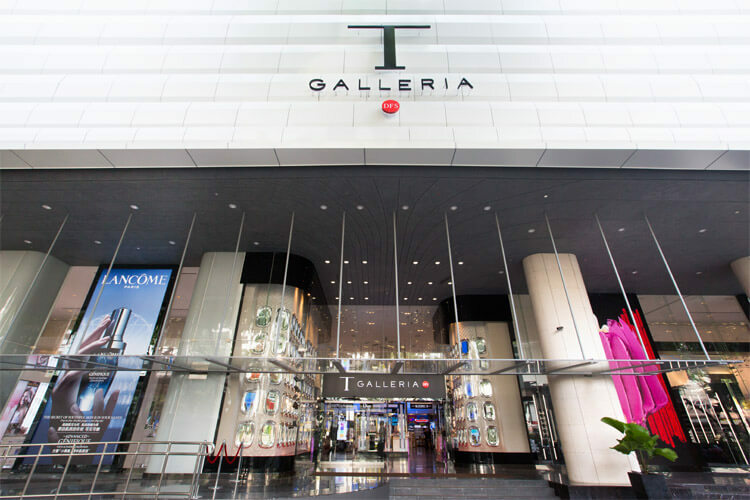 T Galleria Scottswalk provides one of the largest multi-brand beauty shopping havens in the city. Its recently transformed Beauty Hall at 15,000 square-feet offers a multi-sensorial experience that is not to be missed. Girls should take advantage of the Beauty Concierge services (fully redeemable) that are available to all patrons of T Galleria. You can sample highly personalized skin consultations, makeovers, signature skin treatments and even learn makeup techniques from experts in the Beauty Hall. 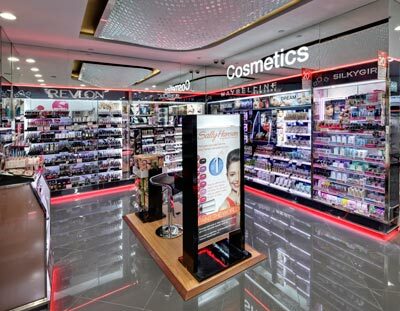 There is a huge selection of over 50 famous brands on offer such as Benefit, Bobbi Brown, Christian Dior, Clarins, Clinique, Helena Rubinstein and Estee Lauder to name but a few. The new-to-market Giorgio Armani Beauty skincare products and cosmetics are also exclusively available at T Galleria Beauty Hall. Tourists will be more attracted to here due to tax-free shopping and its central location. You can't miss shopping for beauty products at Changi Airport when you depart Singapore as you do not need to pay for tax! With the massive range of brands available, from Laneige, Chanel, Dior, MAC, Kose, Origins, Belif to the new affordable Korean brands like Innisfree, Etude House, The Face Shop and more, you must check in early to leave time to shop! Accumulate points with their Changi Rewards card, and also shop online at their iShopChangi website. 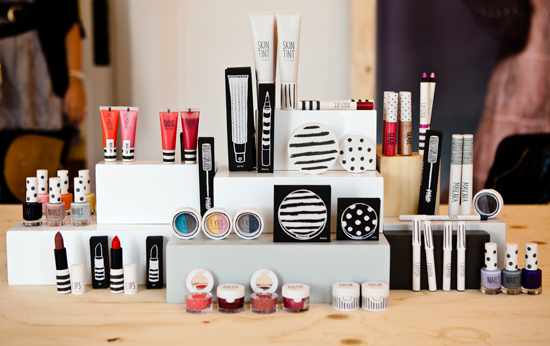 This high street brand has a makeup range that is very affordable and popular. Their bestsellers are their liquid eyeliners, eye kohls, lipsticks and nail polishes. Their packaging is very cute too! Do stay updated at BQ.sg on all beauty promotions and also like our facebook fan page if you find this useful!